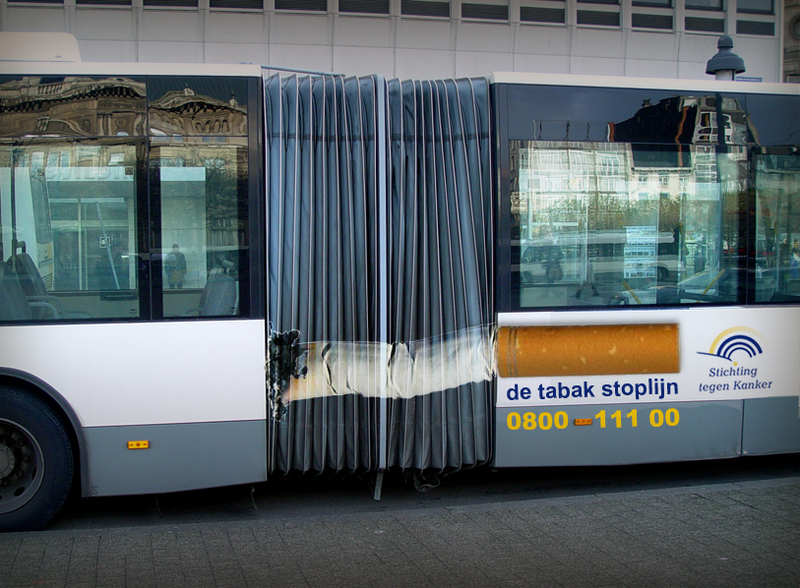 Proposal to brand busses for the Stop smoking line. Here you immediately reach the target group: every smoker knows when he has to wait (i.e. on your bus) he wants a smoke. Just count the sigaret butts on every busstop.